Washington is up in arms about the arrival of Russian officials in Venezuela, but the reality is that Venezuela is a sovereign nation that can make deals with other countries as it pleases. “It’s none of the United States’ business,” an activist told Sputnik Wednesday. 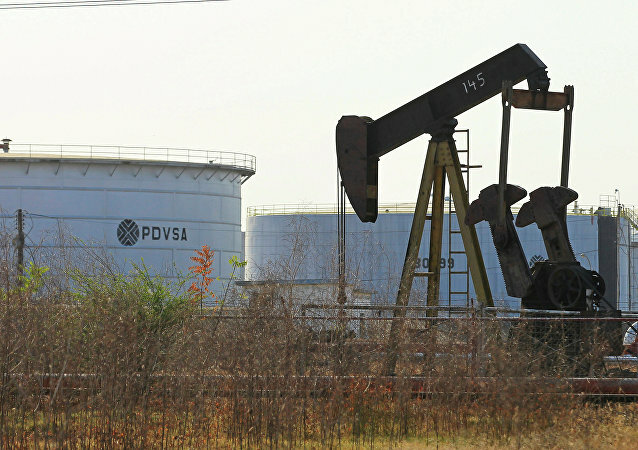 BAKU (Sputnik) - Venezuela is intending to open an office of its oil giant PDVSA in Russia, Venezuelan Oil Minister Manuel Quevedo said Monday. Members of the Venezuelan government have been asked to “put their roles up for review” by the president. On Thursday evening, a power outage was registered in 21 out of the country's 23 states, after what local media and officials described as an act of "sabotage" at the Guri hydroelectric power plant. MEXICO CITY (Sputnik) - Venezuelan Vice-President Delcy Rodriguez said that her country had taken the first steps to launch legal proceedings to protect its property and assets abroad, following US sanctions against Venezuelan state oil company PDVSA and United Kingdom's move to block Venezuelan government’s access to gold reserves held in London. 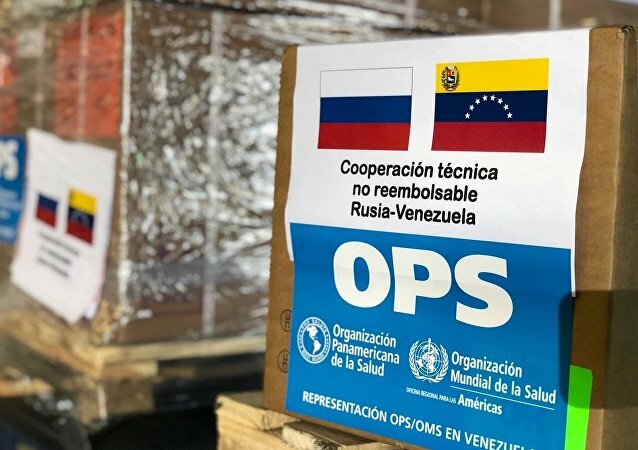 In February, the Venezuelan opposition tried to forcefully bring US-sponsored aid into Venezuela from Brazil and Colombia. The failed attempt resulted in clashes between the Venezuelan National Guard officers and pro-aid protesters. 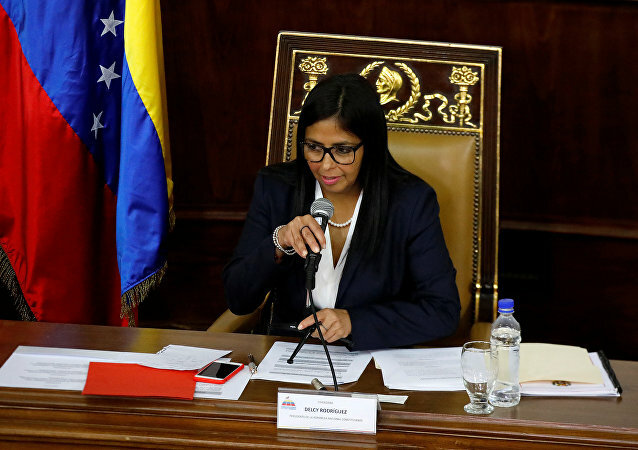 MOSCOW (Sputnik) – Russian Foreign Minister Sergey Lavrov will meet with Venezuelan Vice President Delcy Rodriguez in Moscow on Friday to discuss relations between the two states. The US military has been airlifting food, medical supplies and other products to a Colombian border town despite President Maduro blocking the way for their delivery to Venezuela. The US-backed opposition leader Juan Guaido has declared 23 February as the day humanitarian aid would enter the country. MEXICO CITY (Sputnik) - Venezuela will reach out to the United Nations in connection to the statement by Organization of American States (OAS) Secretary General Luis Almagro, who did not rule out a military intervention in the South American country, Venezuelan Vice President Delcy Rodriguez said on Saturday. Venezuela's Constituent Assembly President thanked Russia and China for statements disapproving US sanctions imposed on the country. 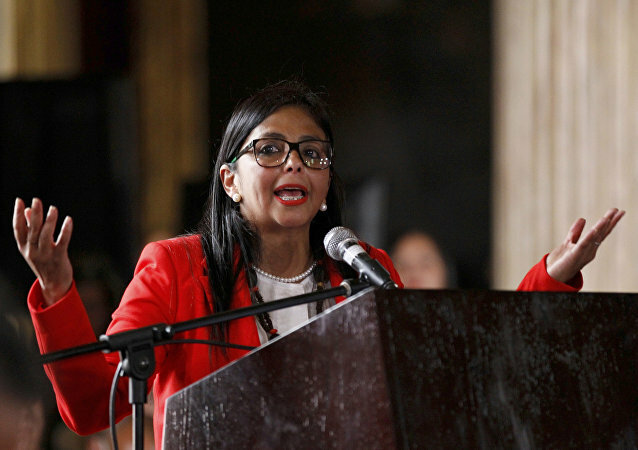 Head of the Constituent Assembly of Venezuela Delcy Rodriguez stated that the new US sanctions targeting Venezuelan government officials aimed at intimidating the voters. Venezuelan National Constituent Assembly has declared itself the main governing body of the country, local media reported on Wednesday. 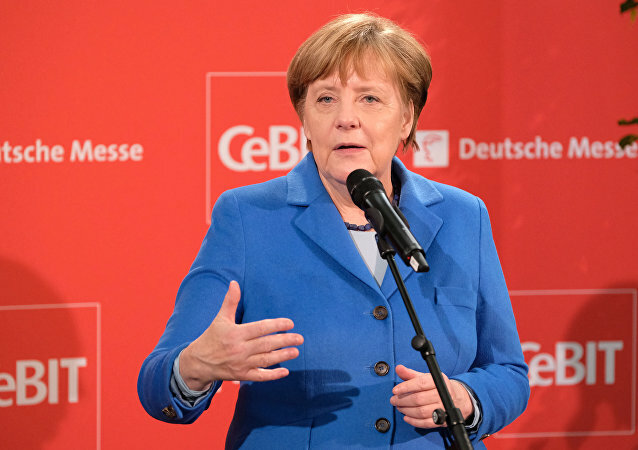 Venezuelan Foreign Minister Delcy Rodriguez has lashed out at German Chancellor Angela Merkel for her remarks on the oppression of the Venezuelan opposition, saying that the statement plays in the hands fo the groups that opt for "violence, vandalism and crimes."